Hey there all you TAYers, Ani-TAYers, and everyone else who has stumbled across this post. 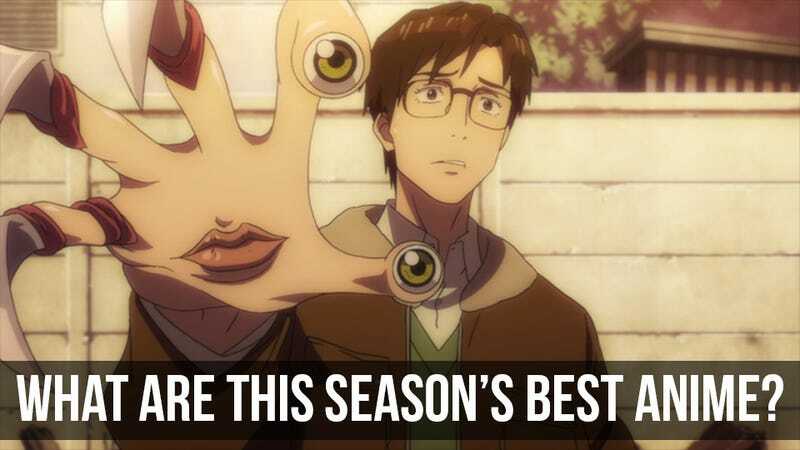 Kotaku East's Richard Eisenbeis here with one question for you: What Are the Best Anime of Fall 2014? As with past seasons, I will be posting an anime guide detailing the new fall anime you should be watching (and why) over on Kotaku. But as I am only one man, I am here to ask you all for help. Which anime I should watch in preparation for the article? Of course, I am watching more than a few anime myself already, but it is certainly possible that a few gems from among the 50 new anime this season have slipped under my radar thus far. In the past, your votes and recommendations have clued me in to shows I would have missed, so I hope you'll all help me again.